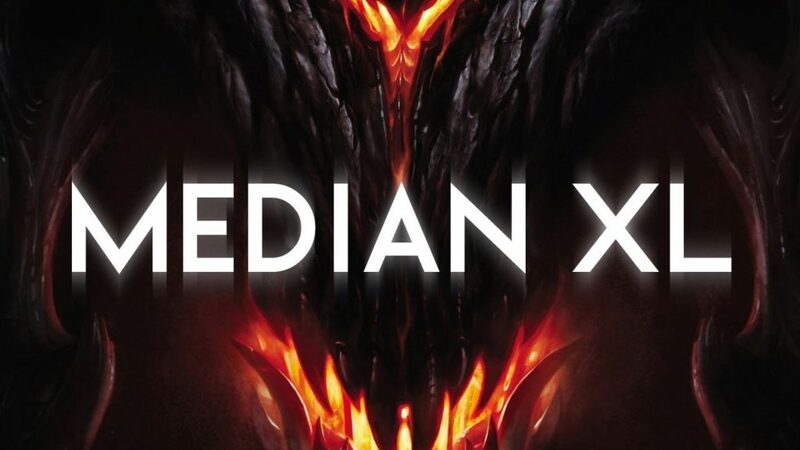 Some big news for Diablo 2 players because Median XL is about to get a major update for 2017. There’s a load of changes thanks to some reverse engineering of the D2 code and the team also adding their own. It’s also coming very soon so read on for all the details and the trailer. One of the most annoying limits of a soft-coded mod is the fact that no areas can be added to the game. Instead, existing areas need to be replaced. The game currently has 136 areas that can be used, and this limit is pushed to 255, nearly a 100% increment. This will enable us to greatly increase the game world, add new quests and areas, and give a proper location to the uberquests that are currently occupying act 2 and act 3 quest areas – which is confusing to new players. The core will get rid of all cheating tools that have made the online game play unfair for some people for so long. All maphacks will no longer work in M2017. However, we have always been advocates of map revealing, because let’s be fair – Diablo’s DLRG system (the way areas/mazes are randomly generated) is no longer that exciting after nearly 20 years. For this, we are implementing in-game map revealing via NPCs. Say good-bye to cheating! This feature already has it’s own topic which you can find here. Resumed: the concept of “corpses” will no longer exist, meaning you will spawn with your items after you die. This will even out the game difficulty of single player vs. multiplayer (because you cannot rejoin your own games in single player) and it will get rid of people accidentally losing their entire gear because of strength bug or simply human error. Tired of clicking those gold piles and having them take up space in the screen when you hold ALT? Say no more. Gold piles will now be picked up automatically after your character walks past it. There are quite a few other features implemented by the core, but many of them are minor or too technical to be mentioned in this topic. You can expect to see the full list of features in the M2017 changelog however. – Unfortunately, a new core means Median XL will no longer run on mac computers. – Our intention is the game to be run “as-is” equally for everyone. For this reason, cheats such as maphacks & resolution hacks will no longer work. D2SE and PlugY will probably still work on M2017, however they will be fully incompatible with sigma’s core. For this reason, we will no longer provide support on using these with Median XL Launcher, which will be the default way to run Median 2017. – Sigma patch isn’t “miles away” as some of you concluded with the M2017 announcement. Most of the core work remaining are fixes and the new user interface – which is why M2017 core doesn’t provide increased resolution – and testing. M2017 will greatly reduce the amount of testing required for sigma as most of the core features mentioned in this topic are ported from sigma’s core. M2017 will be such a big patch that it’ll make you forget about sigma – and by the time you remember it – it will most likely be out. Big thumbs-up to whist for developing the M2017 core. Finally, some of his work will come out for the entire playerbase to enjoy. Check out the site and trailer below ahead of next week’s release. Hype! I thought mod development on this had pretty much wrapped up a couple years ago. Happy to see they are still adding content. I’ll be checking it out for sure! Holy God @$!# I will be returning with full force and Bonesnap Eth. Wtf how could this be? Stay awhile and listen. Like it should have a New soundtrack. Just wish I could have a throwable replenished stackable Bardiche mod. 500 runeword??????????????? So mod team is basically making an xpac for D2 for free, and Blizzard is trying to sell a new class and a map or 2 for like $20? Yeah, gg Blizzard. I really appreciate and would like to thank the devs that made this mod. However @ADest You must realize that without Blizzard to make D2 in the first place, none of these awesome mods would be possible. And right now D3 @ least outside of China, (with micro-transactions) to my knowledge has no recurring income from D3 other than new players buying the game. So it makes total sense for them to charge $20 for a new character class, a few new tile sets and not to mention lots of other new features. So hopefully they put the revenue from the sales of the new character and features towards either developing more D3 content or possibly develop D4. If they ever make a D4 then maybe they will open up D3 so devs can make awesome mods in a much newer engine. Really? Just make the game offline playable and in time most issues will be solved by the community, and for free. As for a blizz game being open, don’t be naive, that won’t happen with the current blizzard-activision management. Perhaps in 20 years… although less if some clever hacker comes up with an updated server emulator. What amazes me is how people think that carnivores can become vegetarians. Then don’t f*****g play it, moron. Anybody care about erg’s negative teenage whiny opinion? No? didn’t think so. So in anticipation of this coming out I re-installed D2. Any idea how to get rid of the mouse feeling so sluggish? I tried the window mode fix and it failed =/ Using Windows 7.
im confused, how is this gonna be allowed to play with online? Private servers that emulate battle.net ones.